new business after heading across the Pacific from Southern California. Hawaii has been a big soda-bottling state. 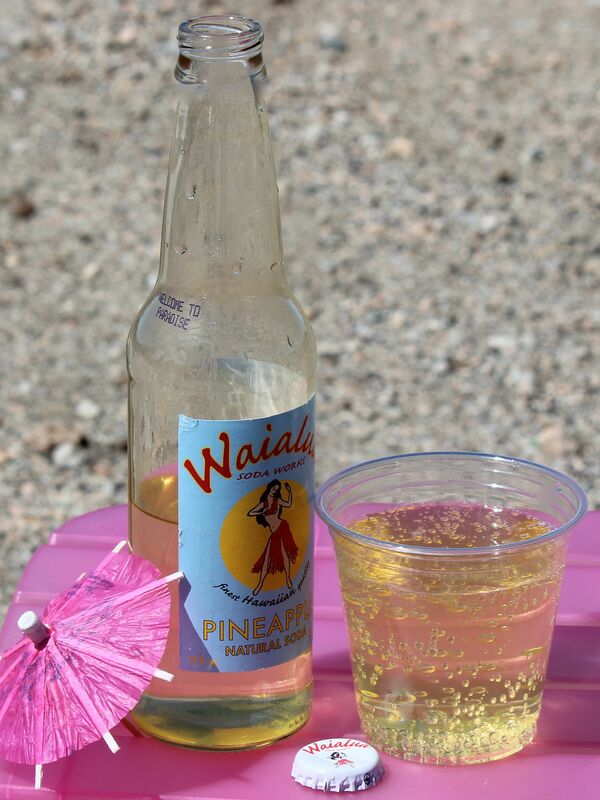 Waialua began bottling pineapple soda in 2004 as a small-batch company. The Campbells mixed the ingredients, let them ferment in an ordinary refrigerator, sterilized the bottles and siphoned the soda into them. They could fill only 500 bottles a week; but soon they bought new equipment that let them do 700 bottles an hour. The ingredients, the Campbells say, are all Hawaiian, except the bottles. Those come from Oregon because Hawaii doesn’t have a glassworks. The finished soda comes right back to Oregon and the other West Coast states, plus Virginia, Maryland and, naturally, Hawaii for retail. It can also be ordered from online soda stores. What’s in it: Carbonated water, blend of Hawaiian and specifically Maui cane sugars, natural flavor, citric acid, beta carotene (color). Appearance: Clear, rich gold like pineapple juice. Flavor: Mild, feels light, tastes like a ripe pineapple. Pairings: Don’t. Just kick off your slippers and sip it on the porch as the sun sets. Notes: This soda’s delicacy and lack of pretension will transport you to the islands and leave you feeling happy.